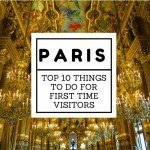 Home to millions of Parisians and many more millions of visitors, there are still a few spots in Paris that are relatively undiscovered. 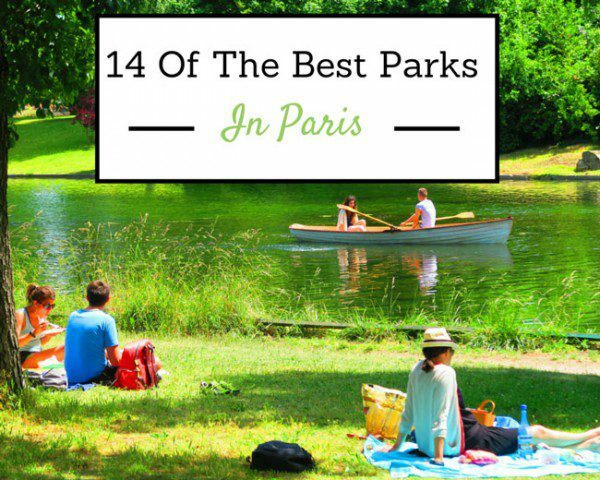 I just returned from spending three months in Paris and today, I’ll share with you my list of the 15 best secret spots in Paris! Paris is a city that rewards those who explore it by foot and many of the places I’m sharing with you here were randomly discovered on one of those magical days spent walking the streets of Paris. 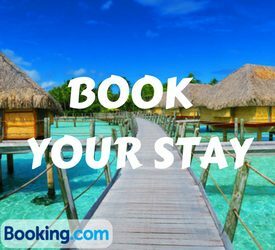 I’m going to list places that every visitor to Paris can afford. 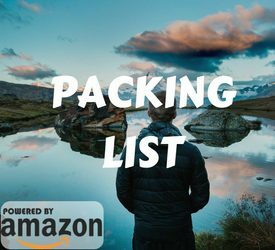 So no luxury restaurants and fancy hotels here – just interesting places that are not on every tourist’s to-do list. 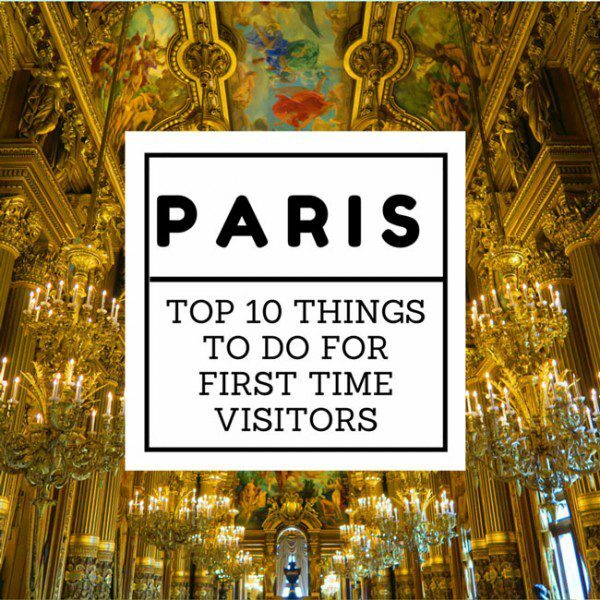 So don’t tell your friends about what you’re about to see and let’s keep these Paris secret spots just between us, ok? 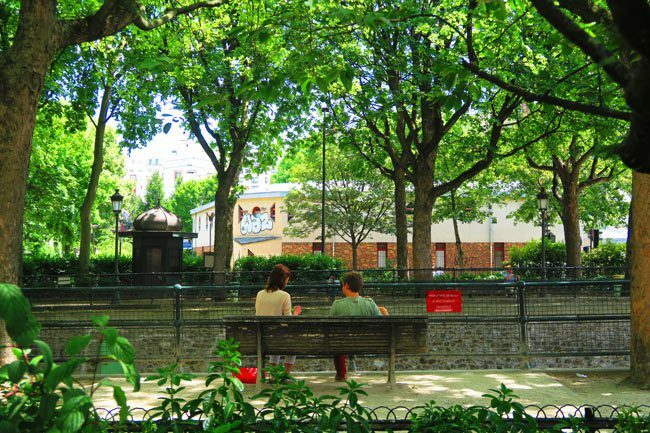 If you’re looking to see a different side of Paris, check out this itinerary guide to the Bastille area. 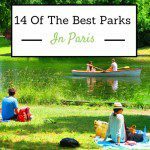 If you want to see how local Parisians spend their sunny weekends, head over to one of the best parks in Paris. It’s way out in Northeastern Paris, where rents are still somewhat sane – making it one of the last remaining areas in town where young families can live, without ‘God forbid’ heading out passed the Boulevard Périphérique and into the suburbs. 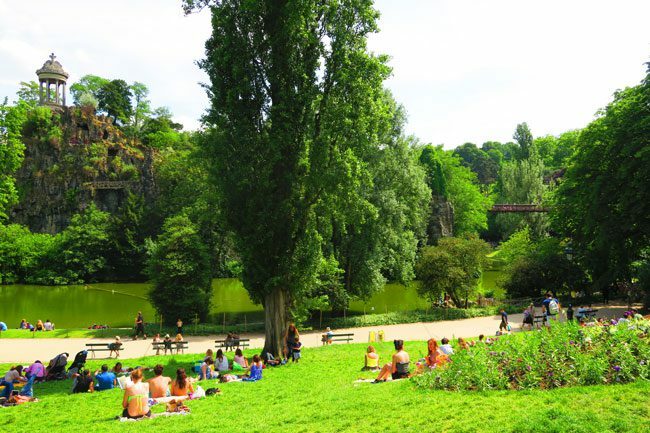 Like quite a few other Parisian parks, the Parc des Buttes-Chaumont was created out of an abandoned quarry. Opened in 1867, the park’s main feature is a towering rock rising out of a central lake. 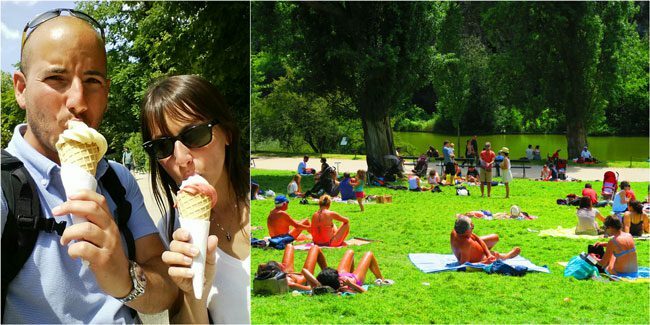 You can make it there via a suspension bridge or just grab a spot on the grass with your picnic lunch. 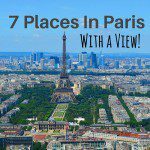 Between the Eiffel Tower, the Champs Elysees and all the other must see things in Paris, the eastern part of town is often overlooked. 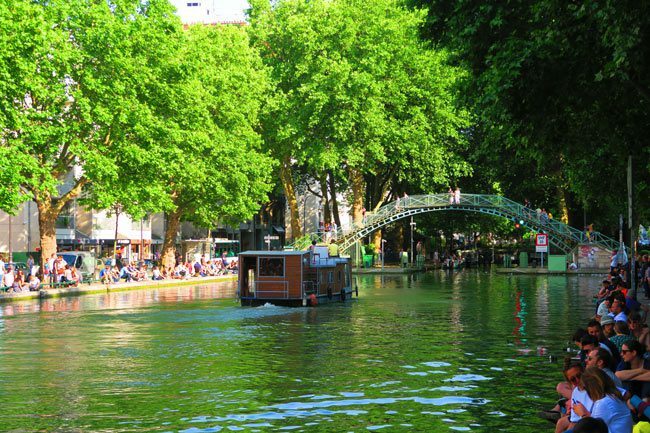 That’s what makes parts of the Canal Saint-Martin one of the best secret spots in Paris. 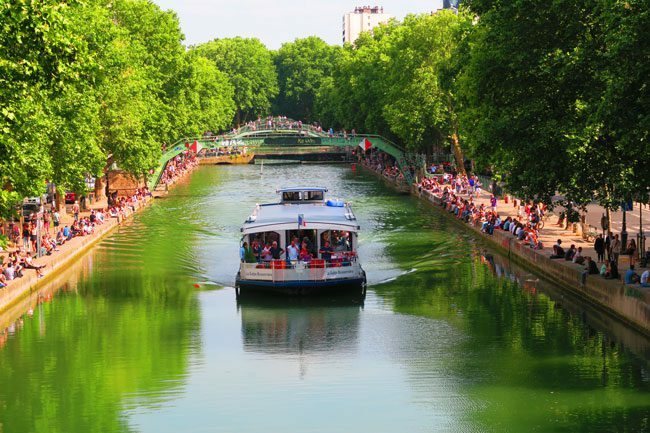 The canal was dug to shorten the distance for boats traveling along the Seine but these days, the neighborhood at the southern end of the canal is one of the most diverse in Paris. Traditionally a working-class center, the 10th arrondissement is slowly being taken over by hipsters and young couples – changing the vibe of this neighborhood but still retaining a unique cultural mix. During the day, grabbing a spot along the canal is super romantic. But the real magic starts when the sun begins to set. 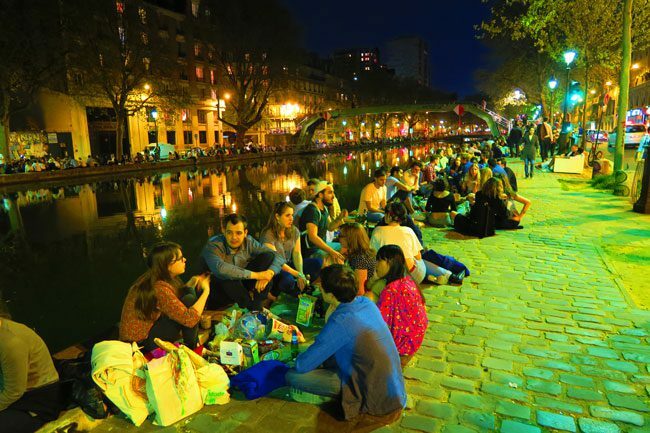 It seems like all the area’s young residence begin to make their way to the canal for an evening of catching up with friends, and just good quality time. Bringing your drinks is a good idea. 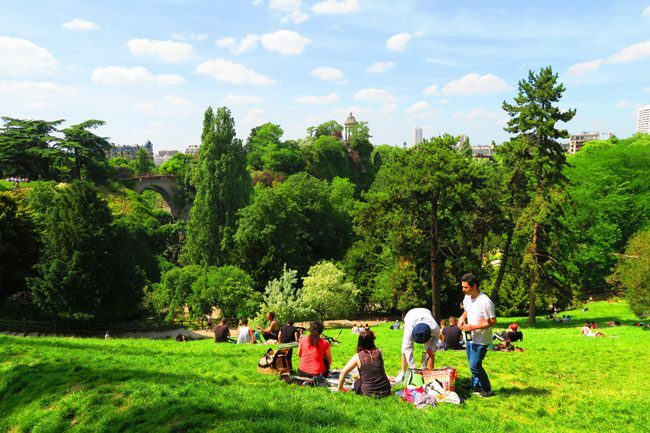 Visit the Parc des Buttes-Chaumont & the Canal Saint Martin with this itinerary guide. The fact that Le Printemps has been one of the iconic Parisian department stores since 1865 is by no means a state secret. 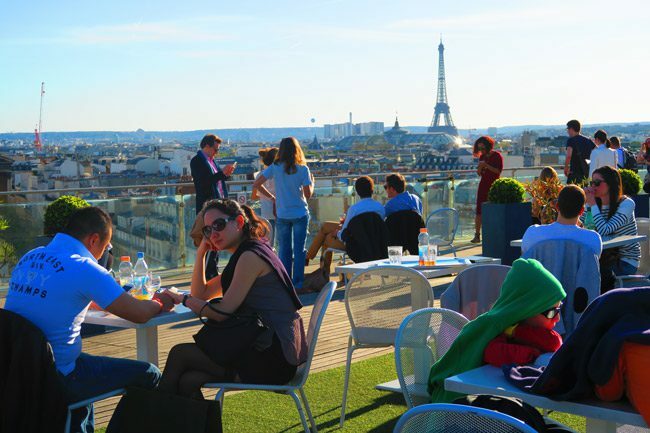 However, only a small percentage of shoppers who frequent this store, ever venture to its terrace for panoramic views of Paris! Take the elevator to the top floor and then head up the escalator one more floor, to Cafe Déli-Cieux. 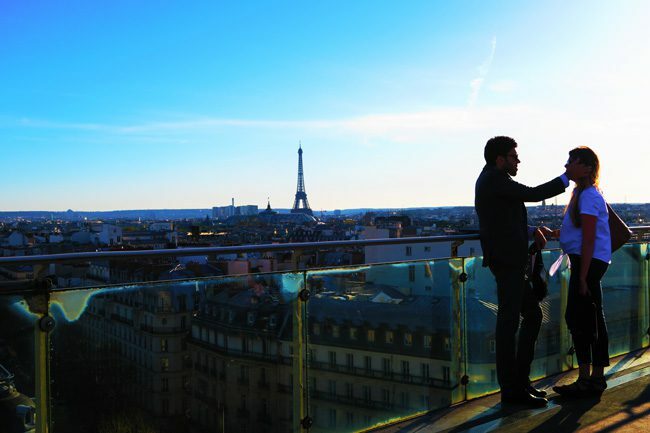 Step outside to the terrace and treat yourself to a 360-degree view of Paris! You can see all the way from Montmartre to the Eiffel Tower and you are super close to the Palais Garnier, the most beautiful building in Paris. 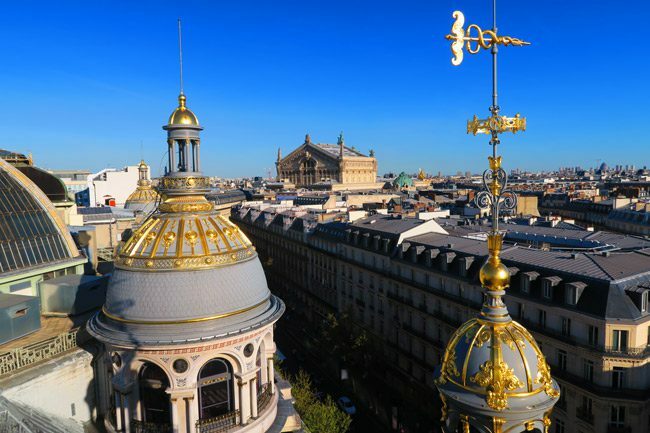 You can also get up and close and personal with the signature gilded domes that are the hallmark of Le Printemps. The best part of all of this is that it’s completely free. I would highly recommend coming here for a light lunch or an early evening glass of wine – but that’s totally up to you. UPDATE: Cafe Deli-Cieux has closed its doors but it’s still worth checking if rooftop access is possible. I assume a new establishment will shortly open at this location, if it hasn’t already by the time you visit Paris. There’s lots to do aside from shopping in this area. 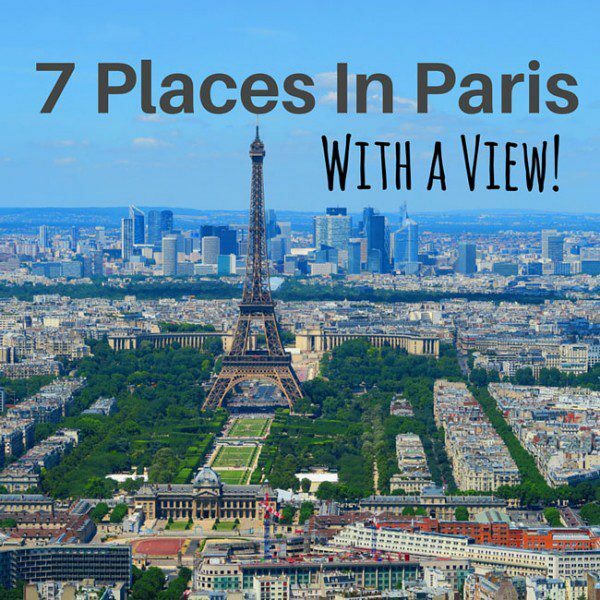 Check out this guide to the Grands Boulevards of Paris. It’s one of the best market streets in Paris and with so many must-see Parisian highlights nearby, it’s often overlooked by visitors. 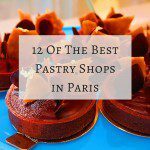 That’s what makes Rue Mouffetard one of the best secret spots in Paris! The street itself is a cobblestone lane that winds its way up the hill to Place de la Contrescarpe. It was actually an ancient Roman road that led from Paris to Rome, and this area still retains a medieval look and feel. 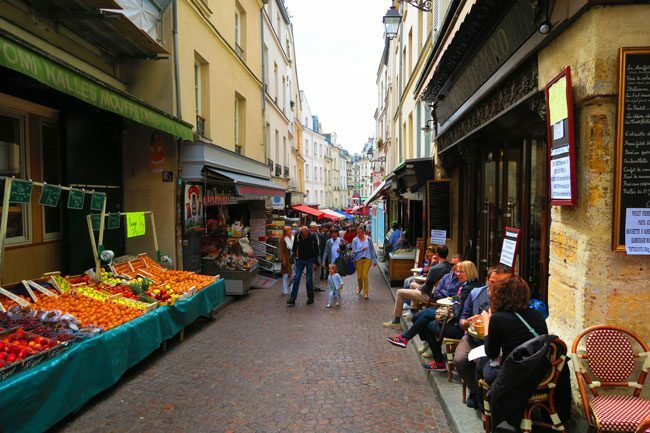 The bottom of Rue Mouffetard is where you’ll find excellent spots for breakfast, along with the bulk of the fruit & vegetable shops. 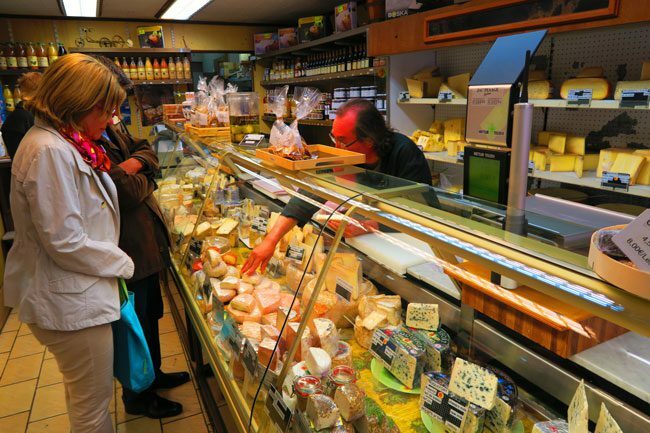 As you head up towards Place de la Contrescarpe, you’ll come across excellent bakeries, wine shops and cheesemakers – oh and how can we forget about the roasted chicken! I just love how the potatoes at the bottom are flavored by the magical power of gravity! 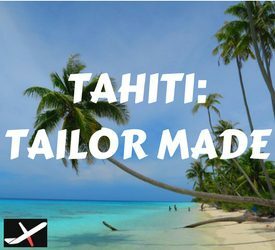 As you near Place de la Contrescarpe, there are lots of pretty solid restaurants that stay in line with the down to earth neighborhood vibe and offer good meals and good prices. 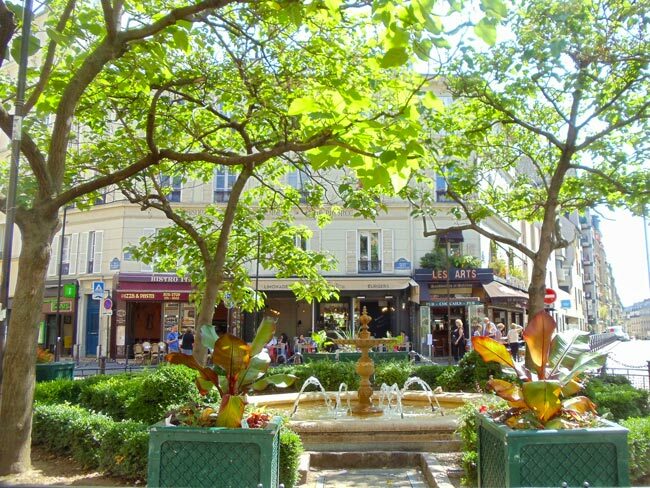 Over at Place de la Contrescarpe, grab a chair in a sunny terrasse and get your caffeine levels up before heading to explore the rest of the Latin Quarter. 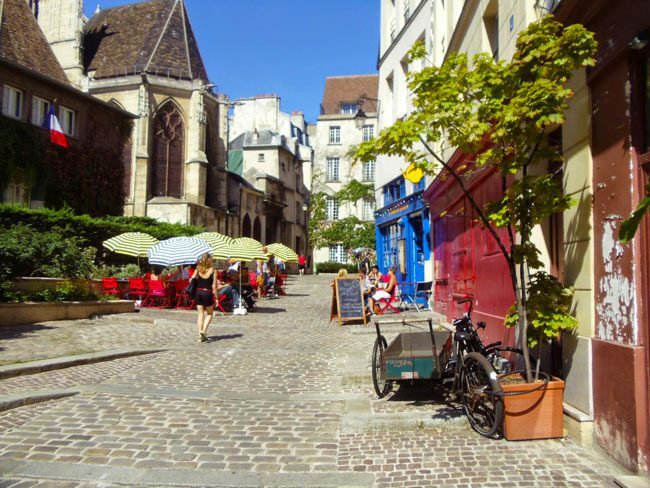 The Medieval Latin Quarter simply cannot be missed on your visit to Paris. 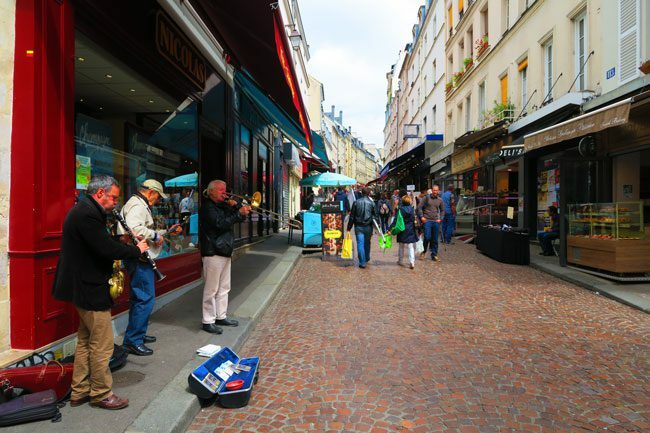 Have a look at this Latin Quarter itinerary guide. 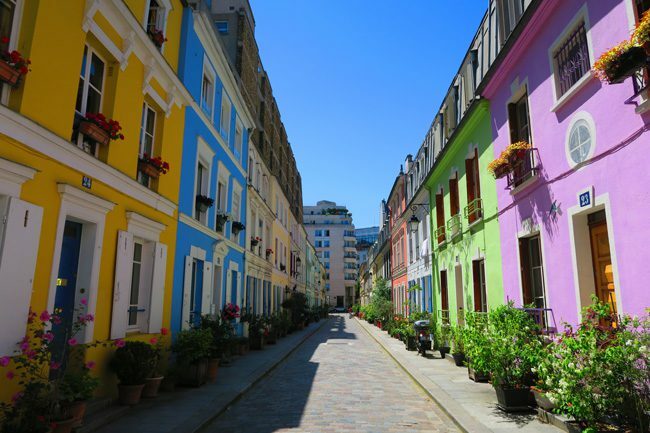 If Rue Cremieux was a picturesque street, Rue des Barres is both picturesque and lively. Located at the edge of the trendy Marais neighborhood, right by the Seine, you’ll be snapping photos like there’s no tomorrow over here. 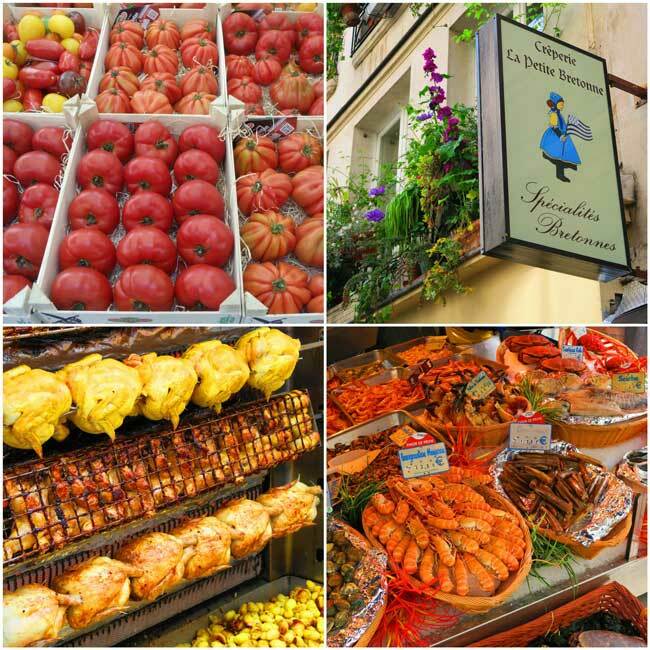 It’s one of the most charming lanes in all of Paris and also holds two distinct highlights. The first is St-Gervais-St-Protais church – one of the oldest in Paris and with exceptionally beautiful stained glass windows. The second is L’Ebouillante – a great spot for brunch, and the kind of place that’ll keep you sitting outside in the sunny terrasse for hours. The Marais is best visited on Sundays, when many parts of Paris take a break. 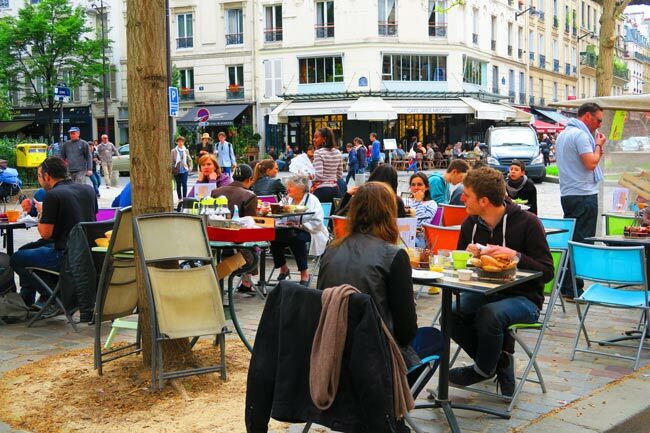 Check out this guide to the Marais and plan your Sunday in Paris. You don’t come to the Musée d’Orsay for the views but this little treat awaits those who venture to the top floor. 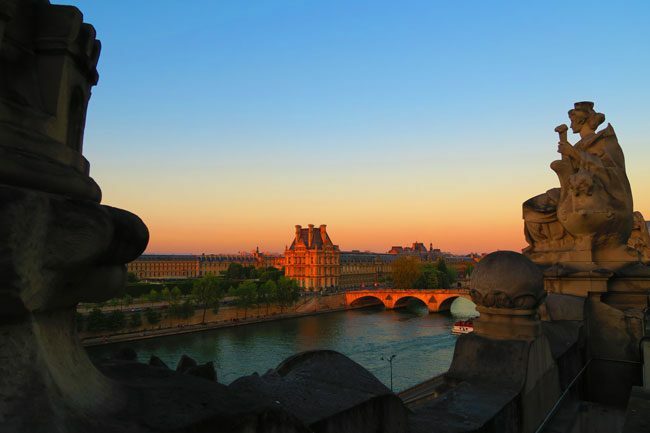 The Musée d’Orsay is one of the best museums in all of Paris, covering the Impressionist and Post Impressionist eras. Come here on a spring evening, when the museum is open until late and the days are longer. After paying a visit to Cézanne, Picasso, Monet & their friends, step outside to the terrace and catch amazing sunset views of the Seine and of Montmartre. You just might have the balcony all to yourself. The Musée d’Orsay is one of the best in the world! 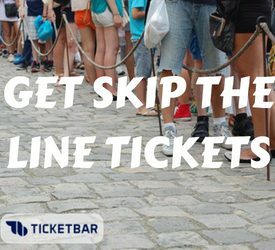 Here’s a guide I wrote to help you plan your visit. 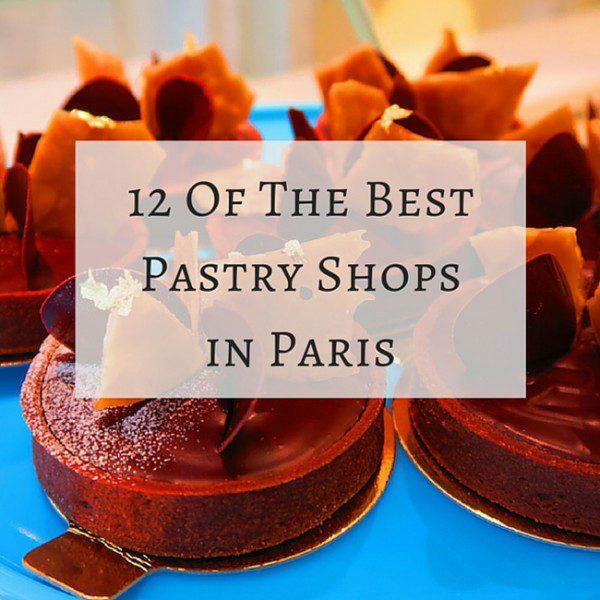 Continue to the next page for more of the best secret spots in Paris! Beautiful spots in this post! Haven’t you made it to the little mountain that is surrounded by Parc des Butte Chaumonts? It gives a great view of the green park!